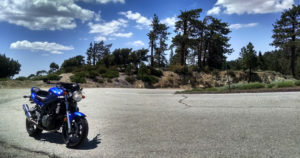 Weary of flights between LAX – SLC and drives along Interstate 15, just yesterday I typically impetuously decided that my next departure out of LA would be on my 2005 SV650. With just nine days until blast-off, I’d normally put a little more thought into a two week 2800 mile trip, if not a little more preparation. To hell with that. So, I shall take the long way around. North out of Los Angeles, through Yosemite’s south entrance and out the east side, up the golden stretch of 395 between Lee Vining and Carson City, then wing it between there and Boise. 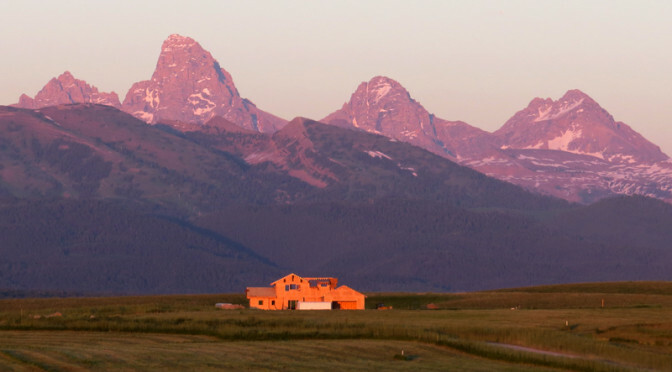 Head east and detour through Stanley and those jaw-dropping views of the Sawtooths, and then to our home construction acreage on the Idaho/Wyoming border. I’ll spend a few days on-site, meet up with some visiting friends from New England, cruise through nearby Grand Teton N.P. and Yellowstone, then back on the road through Utah (likely diversions in Zion and Bryce) and then Flagstaff to visit the in-laws before heading back to Los Angeles. 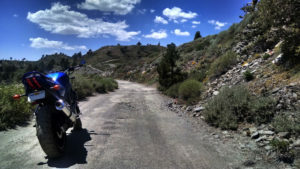 And if a fellow is taking the long way through the Great American West, then he damned well ought to be on a motorbike. Even though I added a new Triumph T100 to the stable about six months ago, the Suzuki’s decade of tenure has earned its place as the mount of choice for this trip. And, I’d just serviced the trusty steed a month back, which included a new pair of shoes. I could hop on it and flee from The Man on a moment’s notice… so that’s what I’m gonna do. Nevertheless, a test ride up Angeles Crest was in order, to help me determine if any new farkles were needed before embarking on this expedition. Rhetorical, of course. New farkles are always needed. Eons ago, I had swapped out the stock handlebars for a pair of more aggressive MX bars. While perfect for slicing the vicious L.A. 24 hour traffic cycle, the Crest ride convinced me to switch to something a bit more relaxed for this long haul. Renthal Road Medium bars, ordered. Luggage… my favorite topic. Being a lightweight backpacker, I love the process of whittling down my gear to the bare necessities. So, even though I’ll be on the road for the better part of two weeks, I’m going with just a small Cortech tank bag and a Wolfman Small Expedition Duffel (33L). Ordered. The great Weight of Life, that force which constantly attempts to anchor us from visiting great places and doing brave things, is about to be lifted and disposed. I’ve been called home by secondary roads that wind through green fields and tall mountains. Hey, Backpacker Moto is on the road again. One thing’s for sure, BPM won’t be having a dreary or even routine ride. Grisly Bears, Poisonous Snakes, Hungry Eagles, : he’ll wrestle them all. Can’t wait to start reading the blog. Hello Limey! No bears or snakes yet, just failing zippers on jackets leading to a lost wallet only 150 miles into the trip! Details to come!